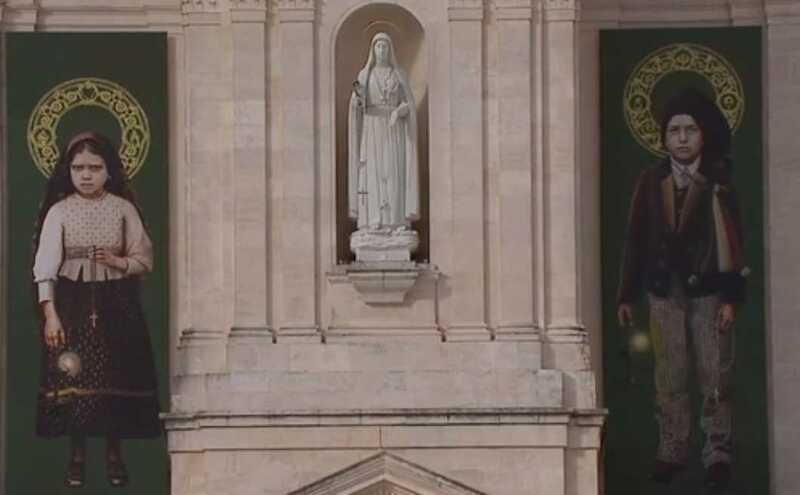 FATIMA, Portugal — Jorge Bergoglio, the Roman Catholic leader known as Pope Francis, has “sainted” two of three Portuguese shepherds who purportedly saw an apparition of Mary a century ago and are credited with two miracles following their death. The occasion, which is widely accepted among Catholics worldwide, is rejected by evangelicals, who note numerous conflicts with biblical orthodoxy. According to reports, an estimated 500,000 people flocked to the Fatima Sanctuary Complex on Saturday, where the children are buried. Some crawled the final few yards on their hands and knees. “According to the belief and experience of many pilgrims—if not of all, Fatima is more than anything this mantle of light that protects us, here as in almost no other place on earth. We need but take refuge under the protection of the virgin Mary and to ask her, as the Salve Regina teaches: ‘Show unto us … Jesus,'” Bergoglio declared. “With Mary’s protection, may we be for our world sentinels of the dawn, contemplating the true face of Jesus the Saviour,” he said. The canonization took place exactly one hundred years to the day that Roman Catholics believe that Mary appeared to three shepherd children—Jacinta and Francisco Marto, ages 9 and 7, and their cousin Lucia—telling them to return to the location on the thirteenth of each month for the next six months, where she would deliver various messages. “Will you take us to Heaven?” Lucia asked. “Yes, I shall take Jacinta and Francisco soon, but you will remain a little longer, since Jesus wishes you to make me known and loved on earth. He wishes also for you to establish devotion in the world to my immaculate heart,” Mary replied, according to Catholic legend. Some of the children during the purported visitations asked for healing for certain acquaintences who were ill.
“Some I will cure during the year. Pray, pray very much. Make sacrifices for sinners. Many souls go to Hell because no one is willing to help them with sacrifice,” Mary replied. Identifying herself as “the lady of the rosary,” she also asked that a chapel be built in her name and that the children continually pray the rosary to help end World War I. “I want a chapel built here in my honor. I want you to continue saying the rosary every day. The war will end soon, and the soldiers will return to their homes,” Mary said. The Marto siblings died while still children during the flu pandemic, but their cousin lived to be 97. Lucia provided an account of the incident to the Vatican, and locals built a chapel and a statue to Mary at the location, which later also became the site of an elaborate basilica. The children’s bodies were exhumed and moved to the basilica, and Roman Catholics began making regular pilgrimage to the location. In the Roman Catholic religion, in order for a person to be sainted, they must be credited with bringing about two miracles after their death through their intercession, with the exception of just one miracle for those who are martyred for their faith. In 2000, John Paul II issued a decree stating that the Marto siblings were jointly responsible for a miracle, and “beatified” the deceased children. A woman who watched the service on television then claimed that she prayed to Jacinto and Francisco for healing of her child’s diabetes, and he was cured. In March, Bergoglio signed a decree recognizing the purported second miracle required for canonization, and then traveled to Portugal to declare the Martos as “saints” on Saturday in front of half a million followers. He also prayed before the children’s tombs and offered a golden rose at the feet of the Marian statue. “Hail holy queen, blessed virgin of Fatima, lady of immaculate heart, our refuge and our way to God!” he declared, according to a transcript from Vatican Radio. However, not all believe that the Marian apparition was of God or that the canonization process is biblical. “It is heartbreaking to see hundreds of thousands of Catholics being deceived by great signs and wonders that our Lord warned us about (Matthew 24:24),” Mike Gendron of Proclaiming the Gospel Ministries told Christian News Network on Monday. He said that it could not have been Mary who appeared to the children. 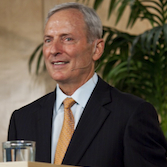 The former longtime Roman Catholic who now encourages adherents to compare Catholic doctrine with Scripture also noted the absurdity of crediting the deceased with miracles. “The unbiblical tradition of canonizing dead Catholics who are credited with two miracles began in the 12th century with Pope Innocent III. The number of miracles that were required fluctuated over the years from two to six until the 1917 Code of Canon Law provided a loophole. If miracles were lacking, the pope could dispense the requirement,” he outlined. “Yet, the word ‘saint’ appears 229 times in the New Testament and not once does it refer to the deceased who had been been credited with miracles, but rather the living faithful who been sanctified by the truth of God’s Word,” Gendron said.